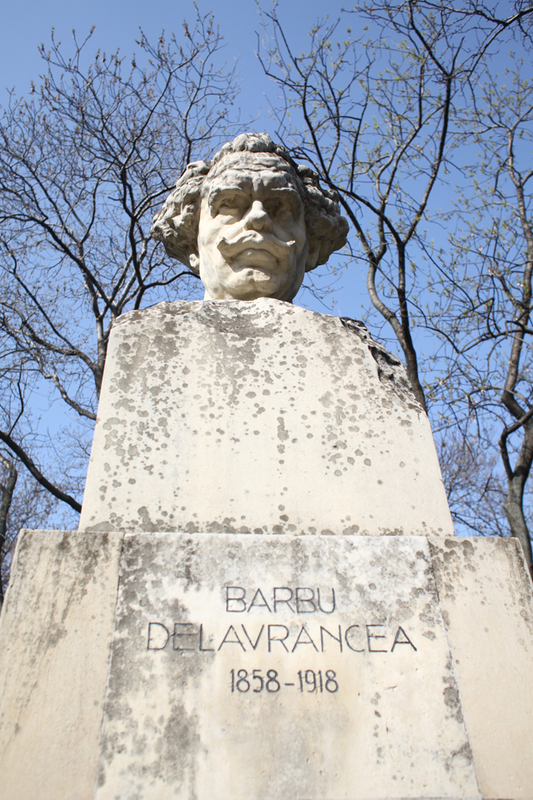 Barbu Stefănescu Delavrancea was a Romanian writer, playwright, journalist, lawyer and politician, renown especially for his literary activity (a short story entitled „Hagi-Tudose” and the play „Apus de soare”). 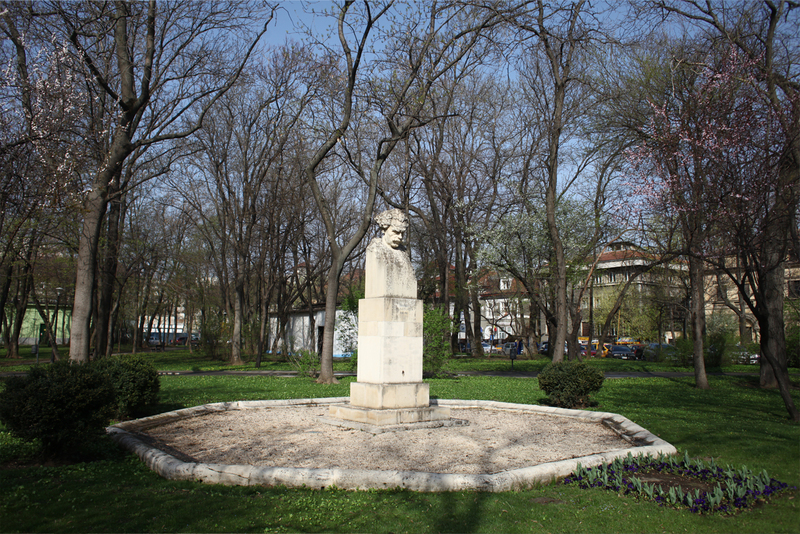 He was also mayor of Bucharest (1899) and member of the Romanian Academy (1912). 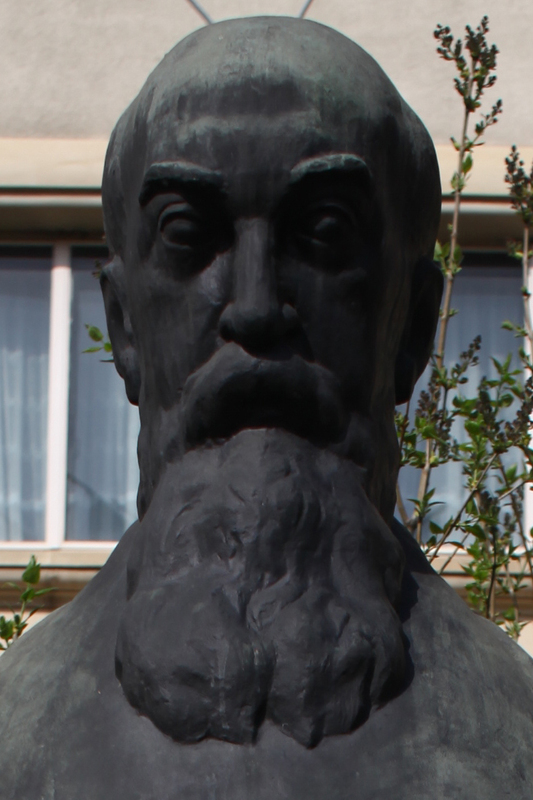 Barbu Stefănescu Delavrancea (1858-1918) attended the Royal School and the „Sf. 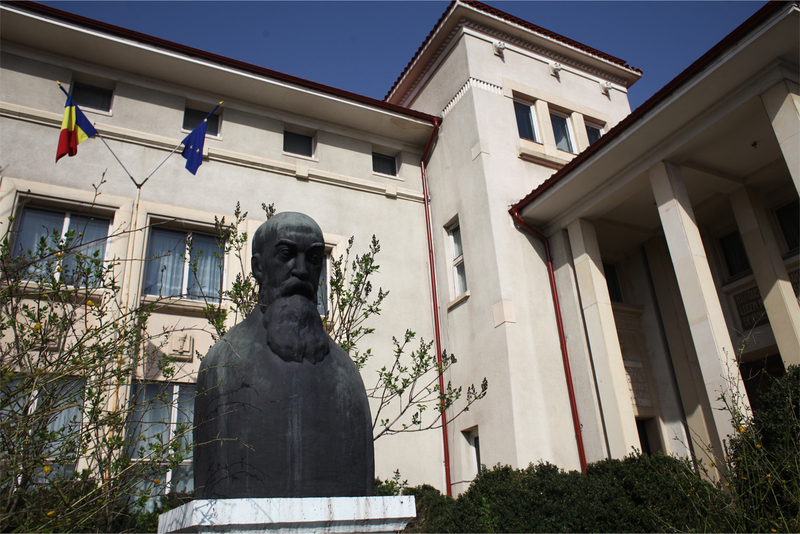 Sava” High School of Bucharest. He studied with some of the most illustrious teachers of those times (D.A. 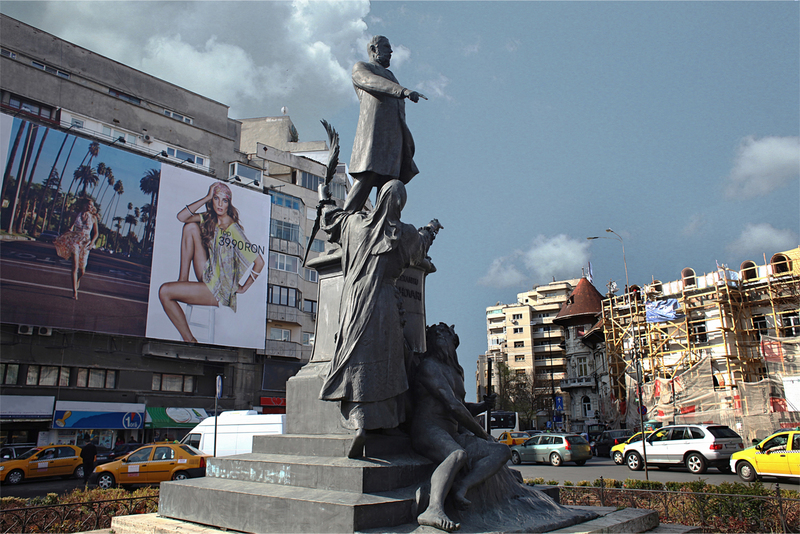 Laurian, Anghel Demetriescu, Vasile Stefănescu). His first literary attempts date back to this period (1876-1877). 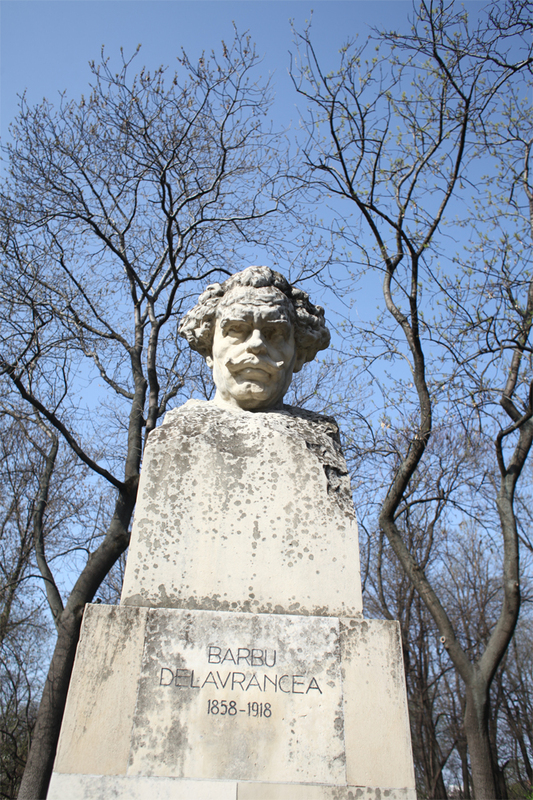 While a student at the Law School, between 1877-1882, he made his debut at the România liberă newspaper (1878) and published his first book of poems („Poiana lungă. Amintiri”)(The Long Meadow. Memories) which received a favorable review from critics. In Paris (1882-1884), he completed his law studies. Upon his return to the country, he published Trubadurul (1886) and Hagi-Tudose (1887). In 1888, Delavrancea worked as editor at the „Democratia” and „Vointa natională” journals. 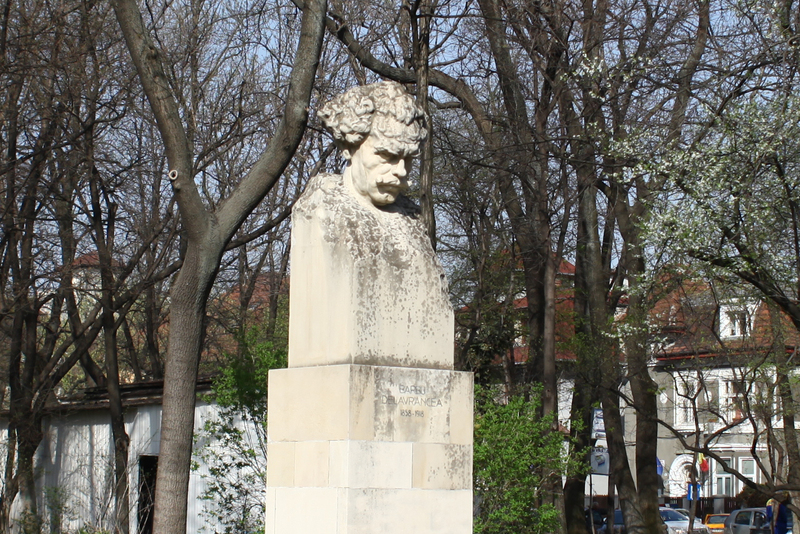 In 1899 he became mayor of Bucharest. 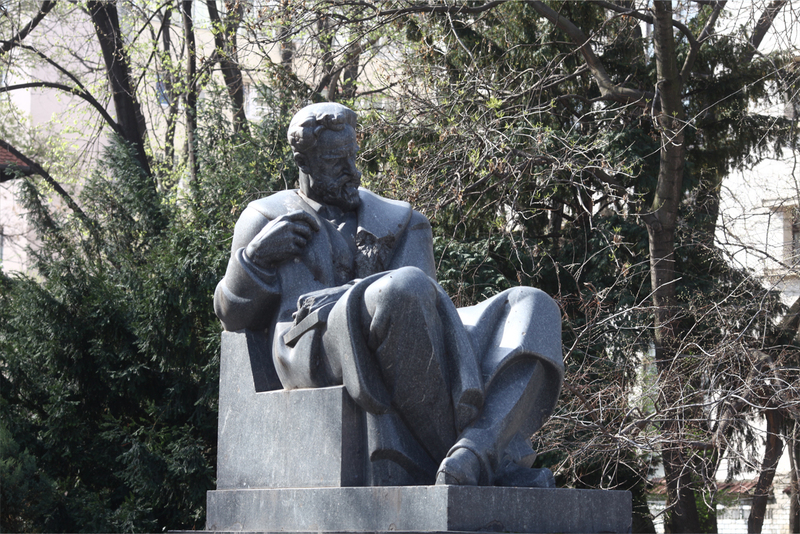 On May 12, 1912, as recognition of his entire literary and playwright activity, he was elected member of the Romanian Academy. Cornel Medrea (1888-1964) attended the School of Arts and Crafts in Zlatna and the Higher School of Decorative Arts in Budapest (1905-1912). 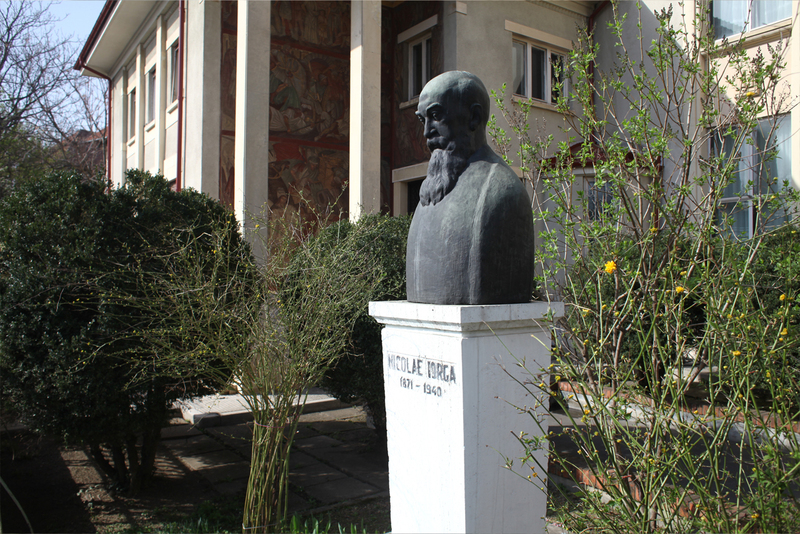 Starting with 1914 he participated in the Official Halls and exhibitions of the „Tinerimea artistică” (Artistic Youths), „Arta română” (Romanian Art) groups etc. He presented his work at the Venetian Biennale (1928, 1938, 1956, 1958) and at other events organized abroad.. 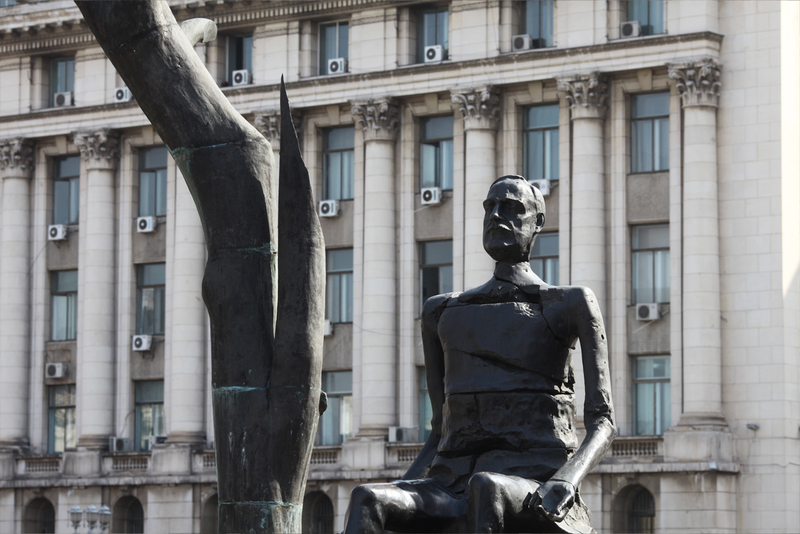 Between 1939 and 1964 he taught sculpture at the Academy of Belle Arts in Bucharest and at the „N. Grigorescu” Institution. Awards: Honorary Diploma at the International Exhibition in Barcelona (1929); the Grand Award at the International Exhibition in Paris (1937); the International Prize at the New York Exhibition (1939); the National Award for Sculpture (1945); the State Award (1956); the title of Honorable Master of Art (1956) and Nation’s Artist (1957). „Medrea cultivates robust, plump forms, expressing an idealistic reality in a simple manner. The portraits, the maternity series, the historical remembrance, the allegorical representations all lead towards the manifestation of plenitude, of optimism based on the material nature of the human image”. 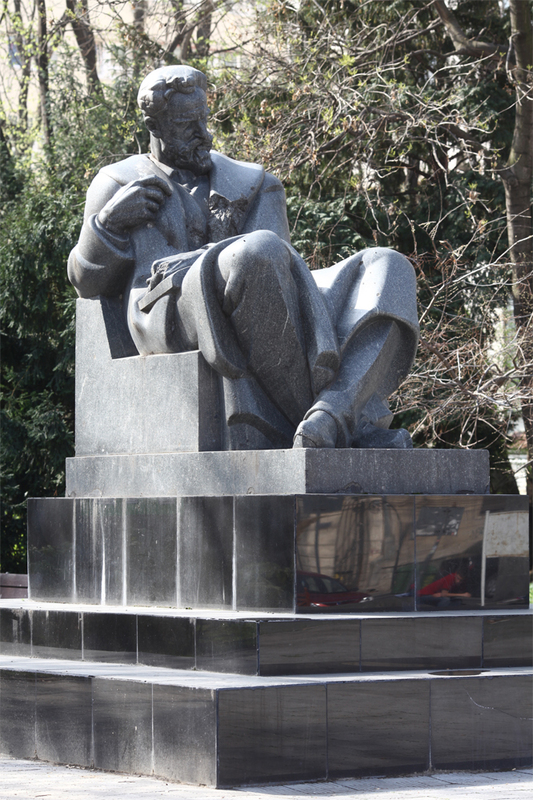 Also known as the „Scholar” - a name which spared it from being destroyed during the communist regime, the statue of monsenior Vladimir Ghika was created in 1938 by sculptor Gheorghe Anghel as a symbol of gratitude for the help the sculptor had received from Monsenior Ghika during his period of studies in Paris. 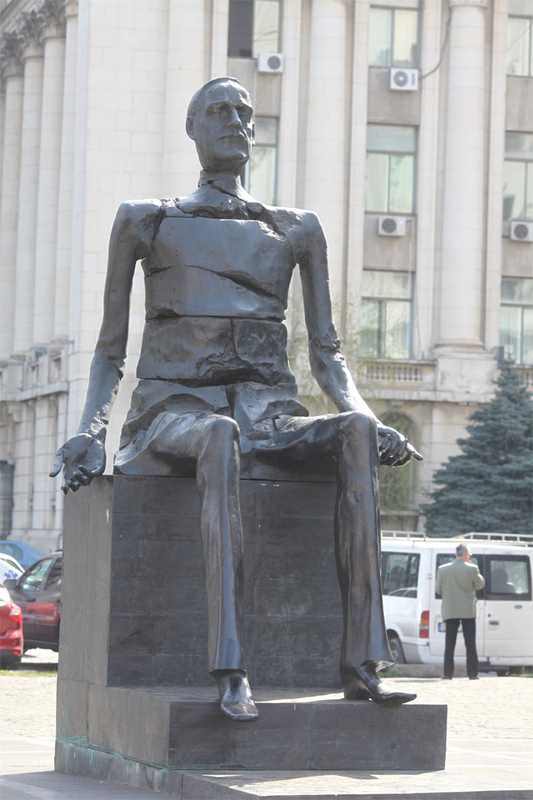 The statue was exhibited at the National Museum of Art in Bucharest. In order to better illustrate the spirit of monsenior Ghika, Gheorghe Anghel amplified only the vertical lines of his work, suggesting a spiritual and not material grandeur of the person being illustrated. There’s something hallucinating about the Monsenior’s figure, generated by the elongation effect, thus underlining the Byzantine atmosphere. 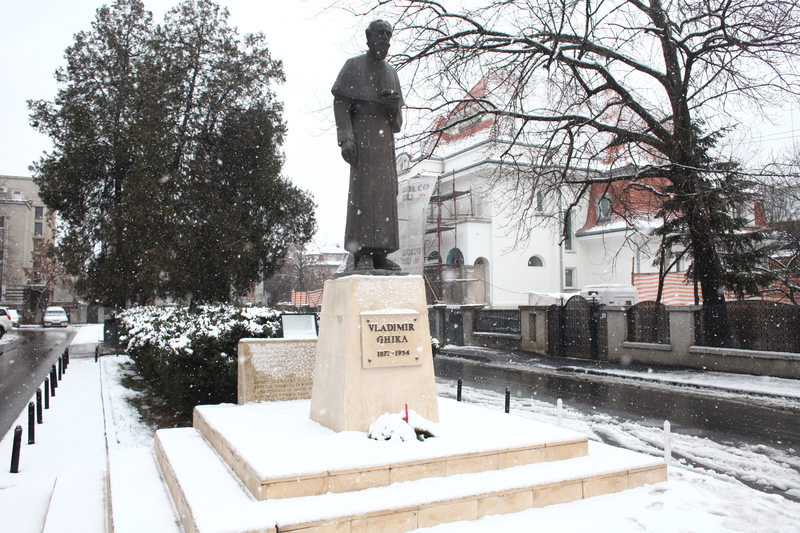 With his persistence, the parish priest of the ”Sacré Coeur” French Church, Ioan Ciobanu, succeeded in 2004 in having the statue of monsenior Ghika moved, to the square existing in the vicinity of the church. 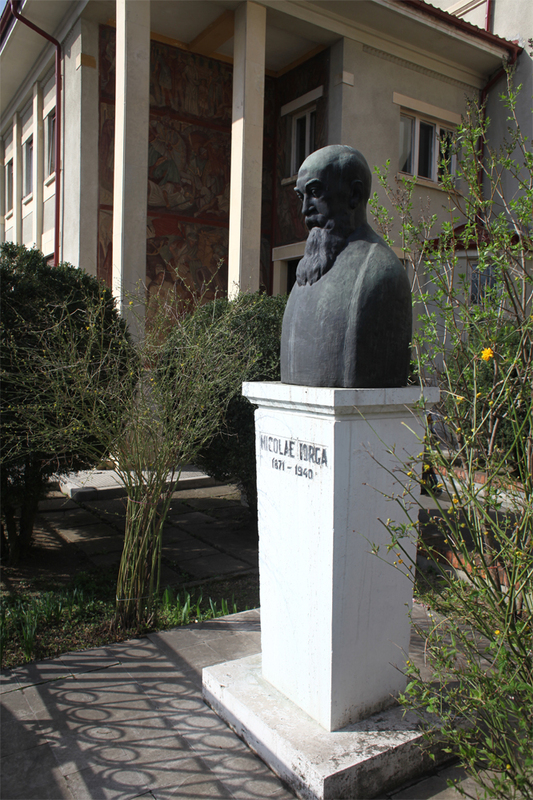 One of the most brilliant minds of this nation, Nicolae Iorga (1871-1940) was a historian and literary critic, a documentarian, a playwright, a poet, an encyclopedia a memoir writer, a university professor and a member of the Romanian Academy, leaving behind an impressive work. He was a prominent figure in the political life as well, carrying out a remarkable activity as minister, parliament member and prime-minister. 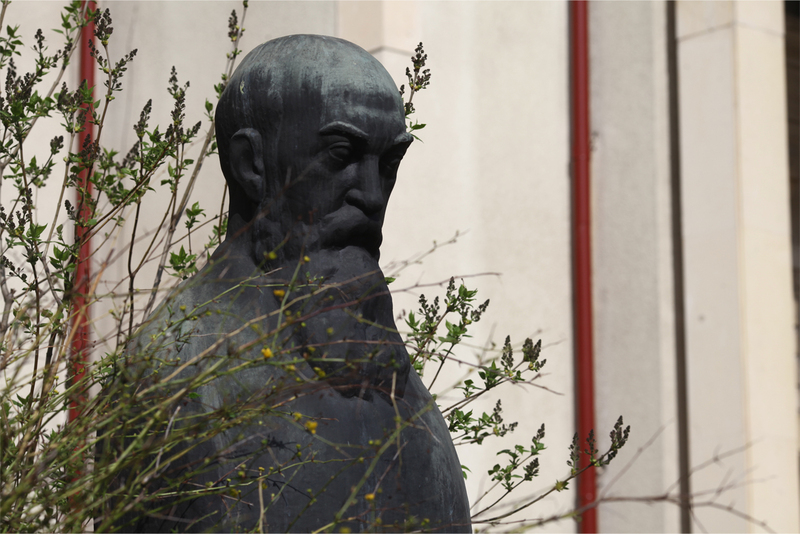 Nicolae Iorga had a tragic death, He was forcefully taken from his villa in Sinaia and assassinated. 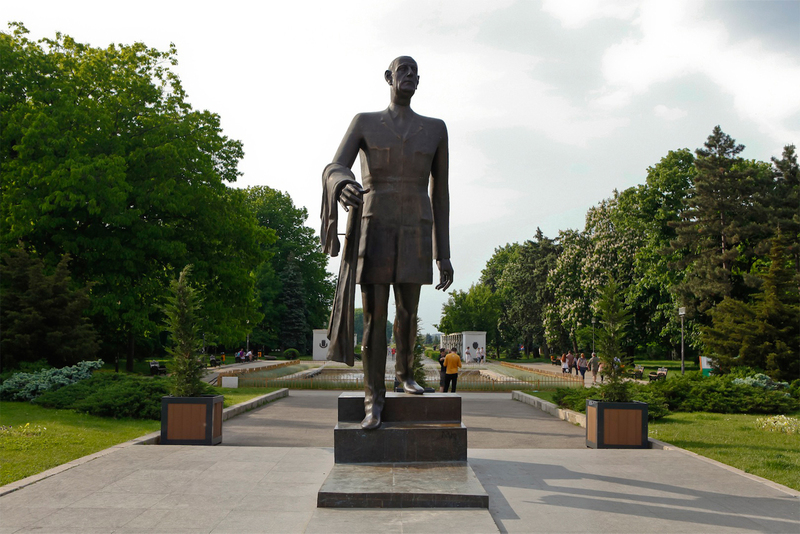 After the news of Iorga's assassination became public, 47 universities and academies all over the world raised their flags half-mast. 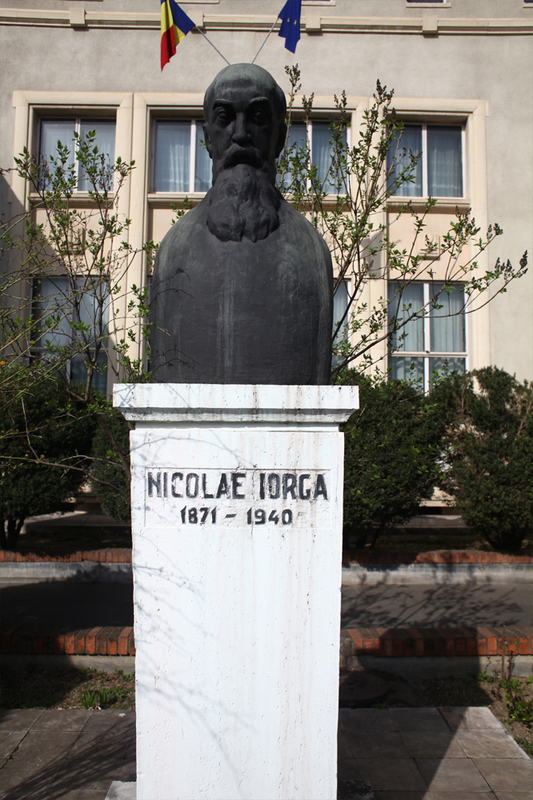 In 1976, the bust of Nicolae Iorga, created by sculptor Ion Irimescu, was placed in front of the Institution of History named after him, on the Aviatorilor Boulevard. Alexandru Lahovary (1897-1953), a magistrate at the Tribunal of Ilfov, delivered his doctor degree paper in legal sciences in Paris (1865). He was appointed Secretary General and Director of the Ministry of Foreign Affairs (1867) and Ministry of Justice (1870, 1873-1876). In 1880 he became a founder of the Conservatory Party being elected deputy and senator several times. Marius Jean Antonin Mercié (1845-1916), was a sculptor and painter of French origin, who attended the School of Belle Arts in Paris together with Alexandre Falguière and François Jouffroy. In 1868 he won the Grand Award in Rome. He taught drawing at the School of Belle Arts in Paris. He was decorated with the Legion of Honor and became member of the French Academy (1891) and chairman of the French Artists’ Society. 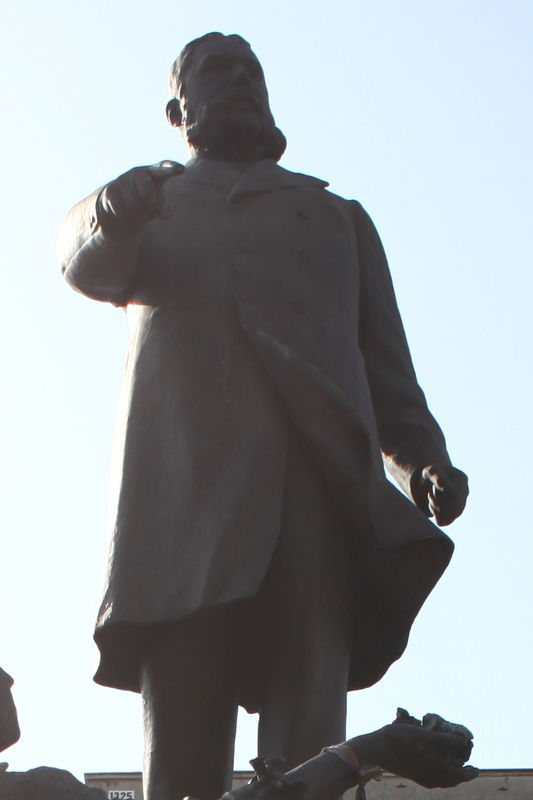 The statue of Alexandru Lahovari shows the famous politician posing as orator. 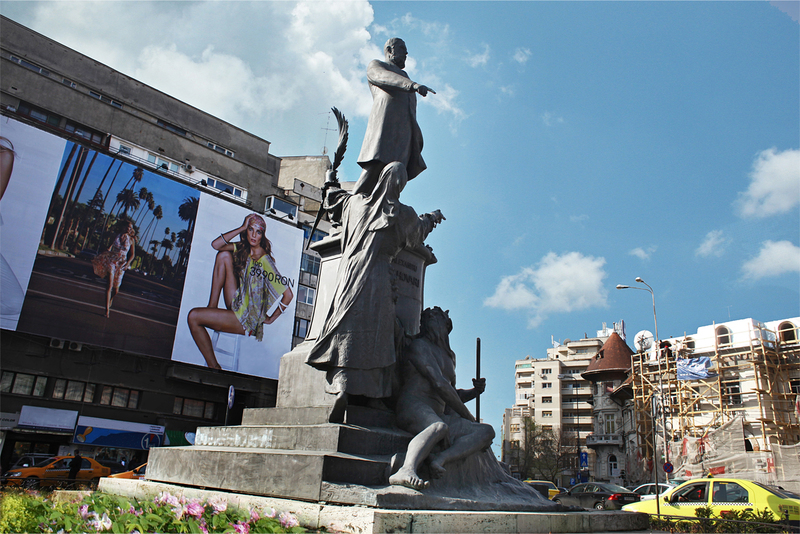 At the base of the monument a masculine allegory of the Danube is presented, while on the left there is an allegory or Agricultural Romania. 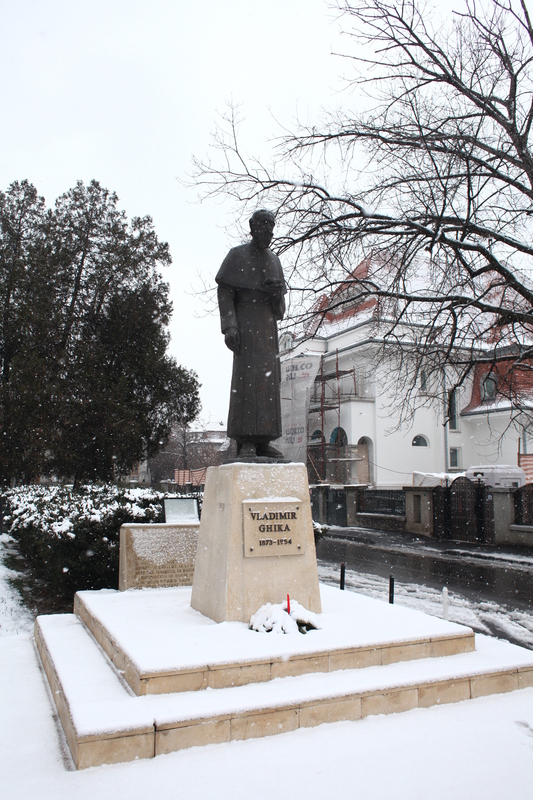 Iuliu Maniu was one of the most important Romanian politicians between the two World Wars. 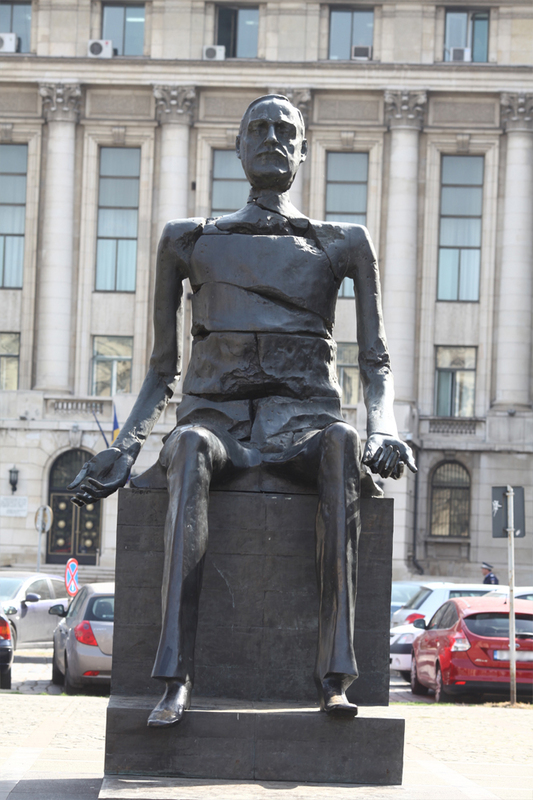 A Transylvania Deputy in the Budapest Parliament, prime minister of Romania, president of the National Peasant Party, a political prisoner following 1947, Iuliu Maniu embodied the symbol of hope and thrive for freedom of the Romanian nation. 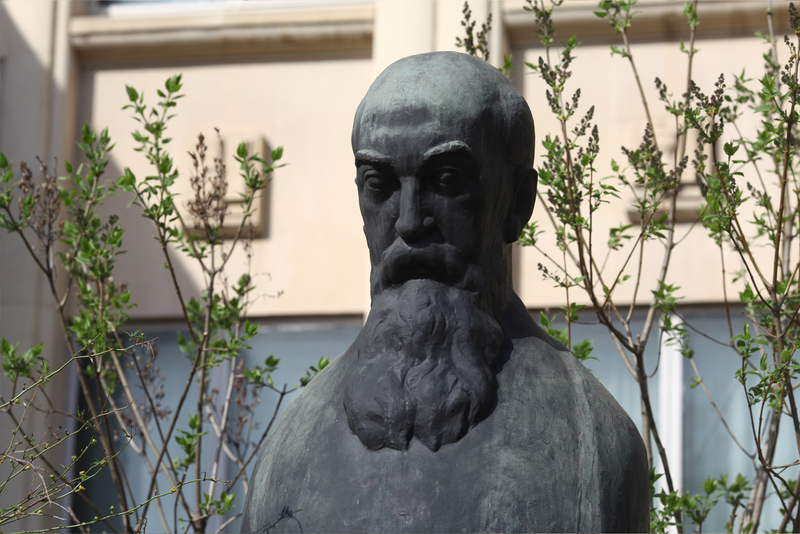 Iuliu Maniu (1873-1953) attended the University in Cluj, Budapest and Vienna, and got his doctor’s degree in law in 1896. Upon returning to Transylvania, he settled in Blaj, where he began to practice law as an attorney of the Romanian Church United with Rome, the Blaj Metropolitan Bishopric (1898-1915). 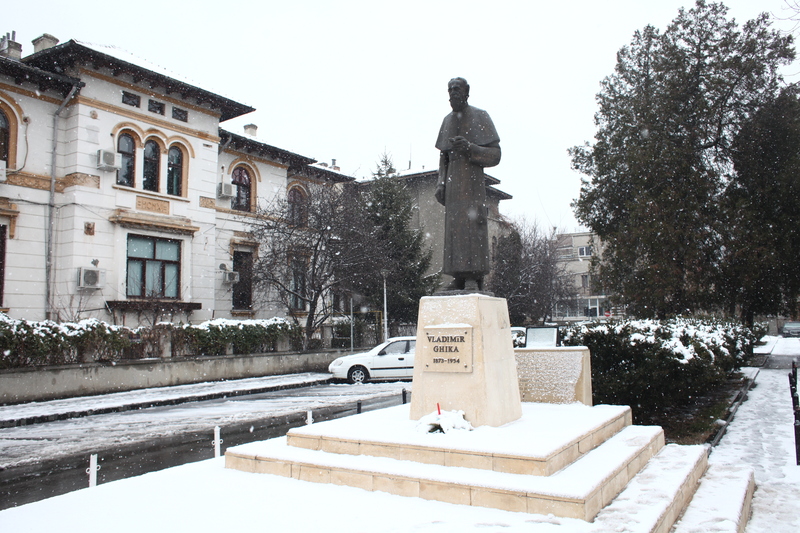 He began his political career as a member of the National Romanian Party of Transylvania and was one of the organizers of the Great Assembly at Alba Iulia, in December 1st, 1918, where the unification of Transylvania with the Kingdom of Romania was to be decided. The Romanian Party of Transylvania unified with the Peasant Party in 1926, thus establishing the National Peasant Party. Iuliu Maniu was President of the party (1926-1933 and 1937-1947) and prime-minister of Romania between 1928 and 1933. 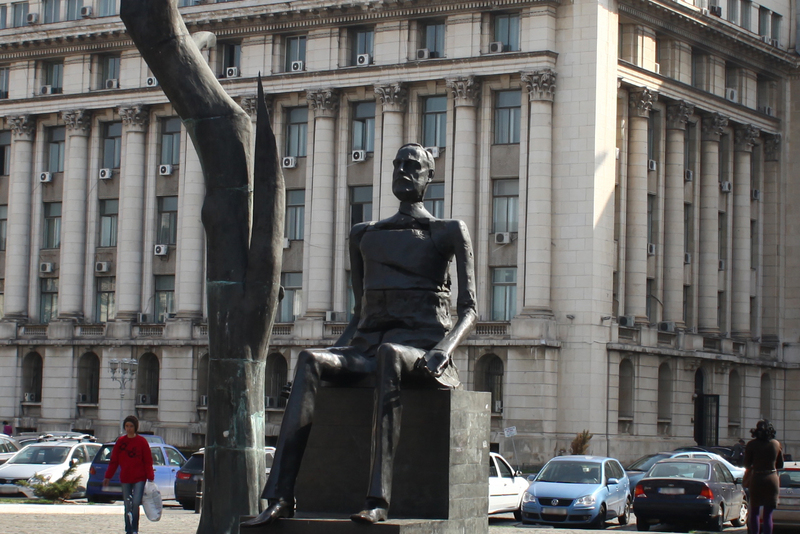 Though he refused to cooperate with the Legion and the Antonescu regimes, he was arrested on July 14th, 1947 by the communist authorities, tried for „high treason”, and convicted to life imprisonment. 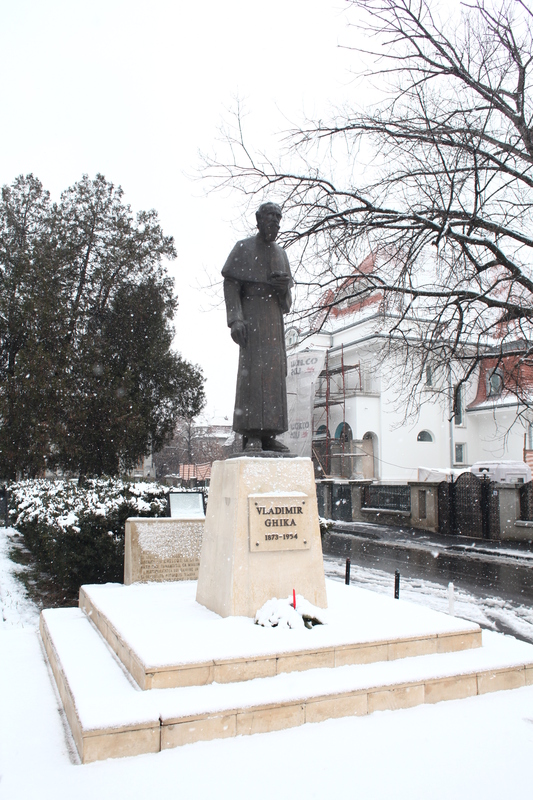 He died on February 5th,.1953 in the Sighet prison. 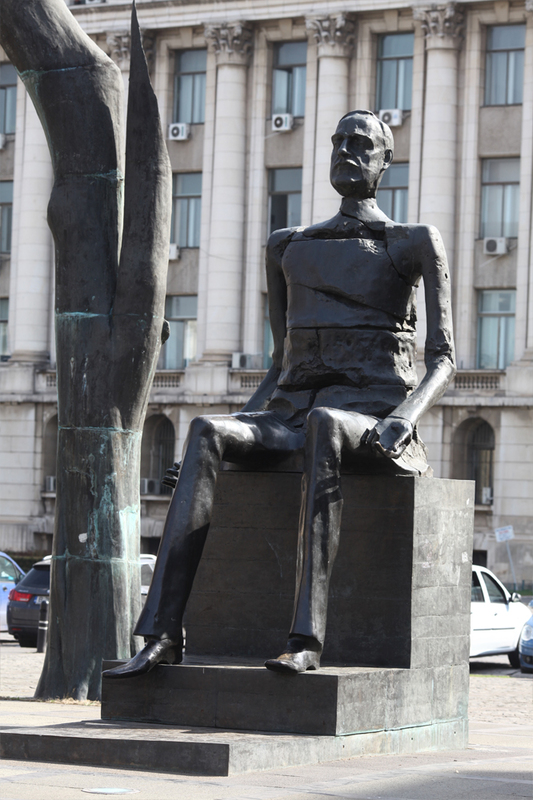 Romanian sculptor, painter and ceramist, Mircea Corneliu Spătaru is an outstanding figure of Romanian contemporary art. A graduate of the „Ion Andreescu” Institute of Plastic Arts of Cluj-Napoca (1962), his portfolio of exhibitions is quite extensive (Venice, Paris, Barcelona, Budapest, Warsaw, Bucharest) as is his list of awards (1969 – The Award of the Union of Plastic Artists in România; 1971 – The „Ion Andreescu” Award of the Romanian Academy; 1972 – the Critics’ Award of the Union of Plastic Artists in Romania; 1985 – the Jury’s Special Award – the Exhibition of Drawings and Painting in Barcelona; 2000 – the National Order "High Officer for Service of Loyalty” from the Romanian Presidential Institution). 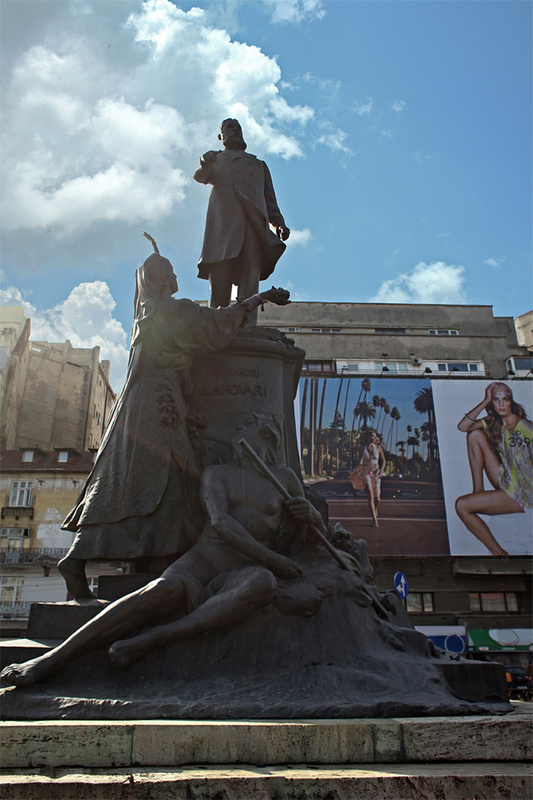 „Spătaru… takes upon himself the tragedy of humanity's history, feeling himself deeply involved and assuming responsibilities that leave no place for the privilege of innocence, not even to the mere onlooker. We are all responsible for our wretchedness. An idea that may be uncomfortable but unavoidable by those who attempt to understand the restlessness of today’s world, with its nightmares and hopes” (Andrei Pleșu). 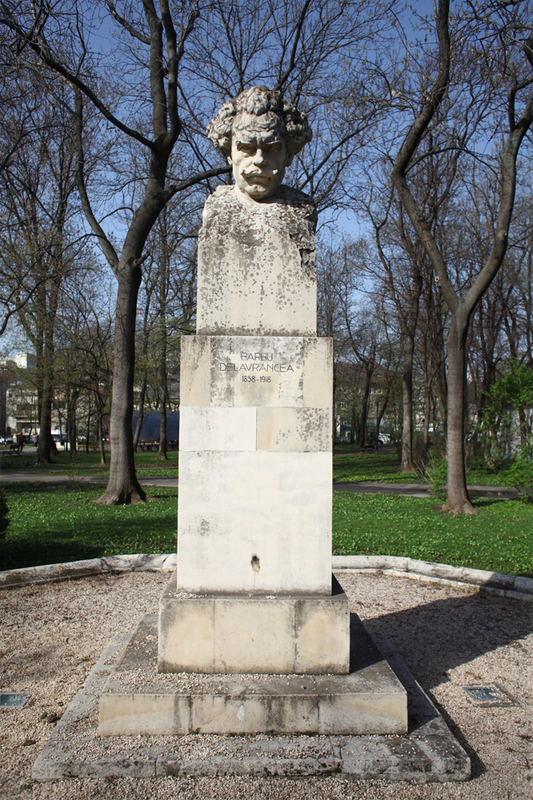 In 1928, one year after Ion I. C. Brătianu died (n.1864 – m.1927), at the initiative of his wife, Elvira Bratianu, and his brothers, Vintila and Constantin, the first steps were taken to create a monument dedicated to the grand departed. A cultural association was established for this purpose „The I.C. Brătianu Establishment” initially located in Doamnei St. Later, it was relocated to the building in which Ion I.C. 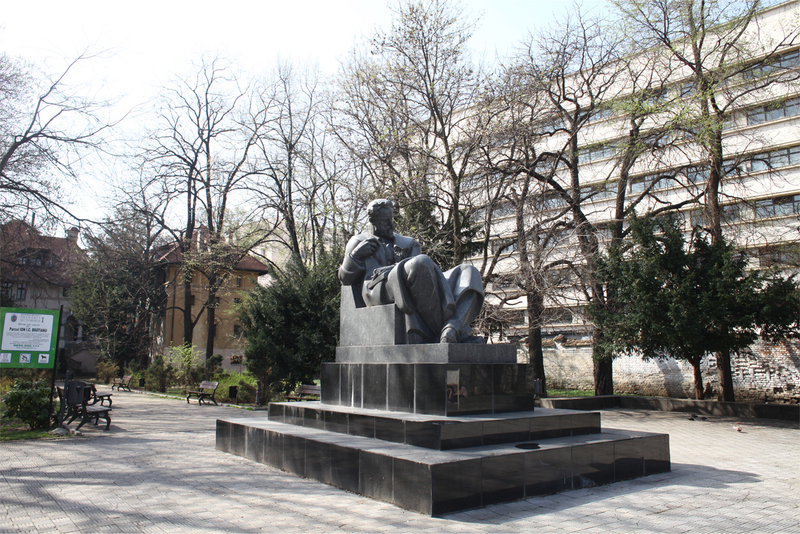 Brătianu had lived, in Biserica Amzei St., that had been donated to the establishment having as scope not only the organization of a public library, but also the building of the aforementioned monument. 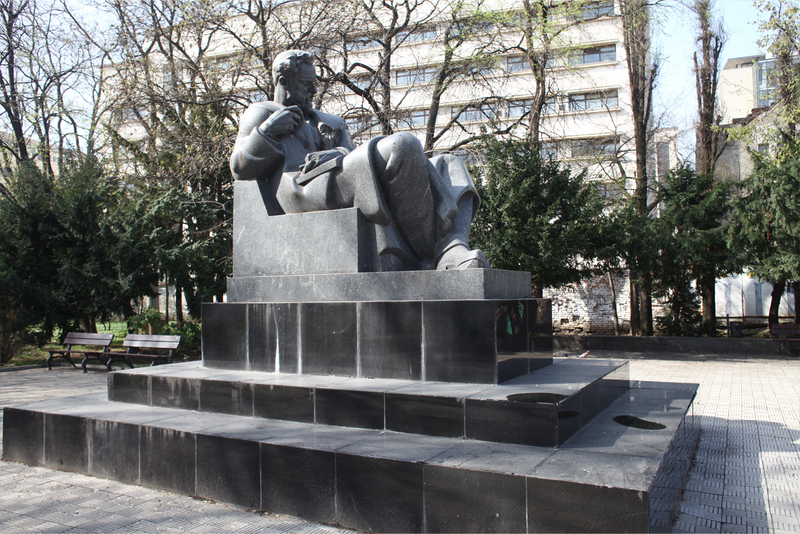 In 1935, in order to fulfill this task, a committee was organized under the management of the President of the Romanian Academy, Alexandru Lapedatu, who, at the time, was minister of culture. 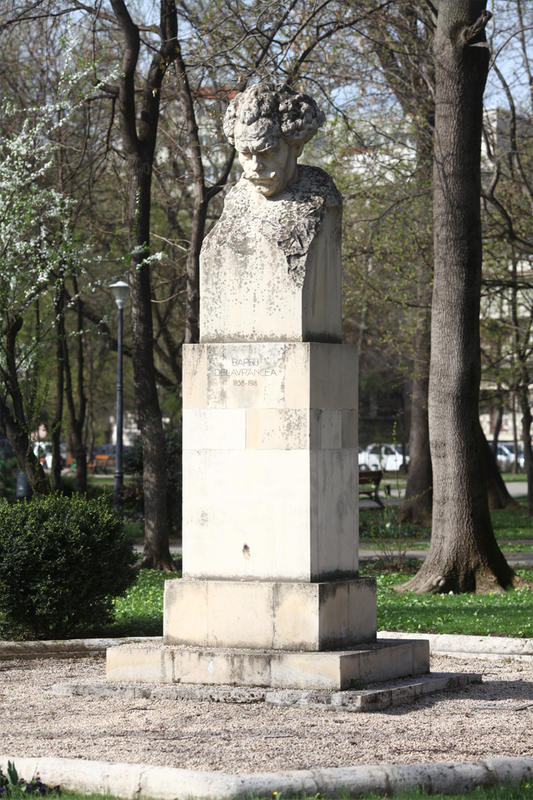 The work was assigned to the Croatian sculptor, Ivan Mestroviçi (n.1885 – m.1962, a renowned plastic artist, author of the statues of King Carol I and King Ferdinand, which no longer exist today) and was ready to be brought to the country in 1937. 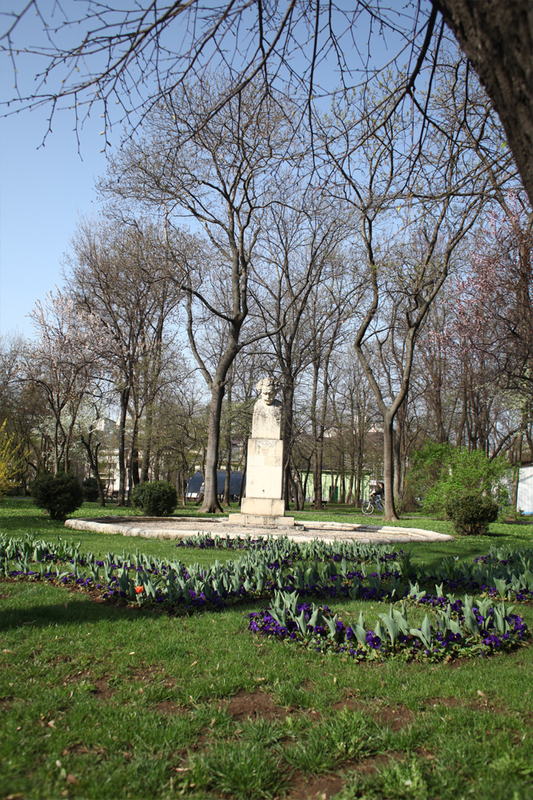 A small square was created for its placement, the Vintilă Brătianu square (running from the extension of the Vintilă Brătianu Boulevard, nowadays Dacia Boulevard, designed in 1935 and executed in the’80s). The design of the square benefitted from the suggestions made by Mestroviç and was performed by Arch. 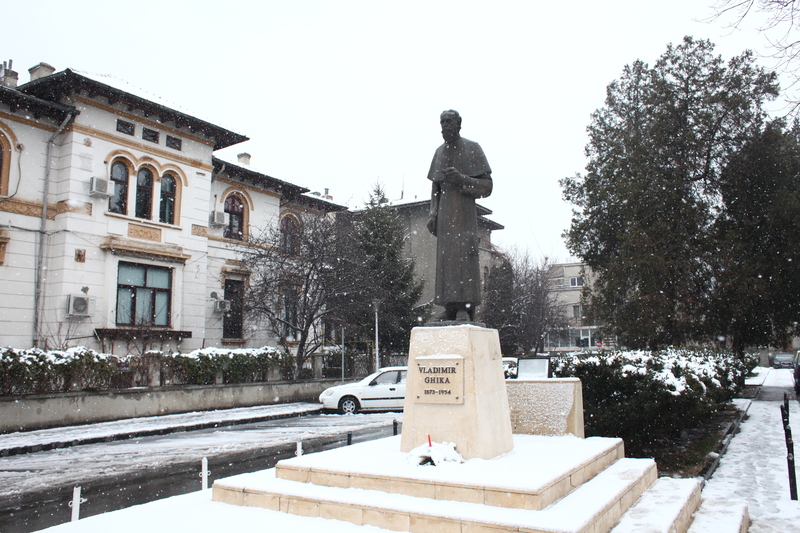 Horia Teodoru. 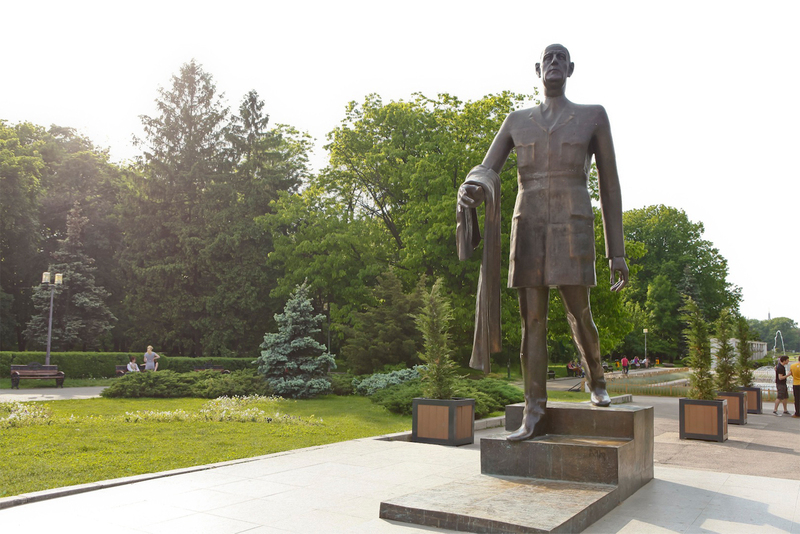 In the summer of 1937 the monument was placed in its designed location and the unveiling ceremony was held in November 28th, 1938. 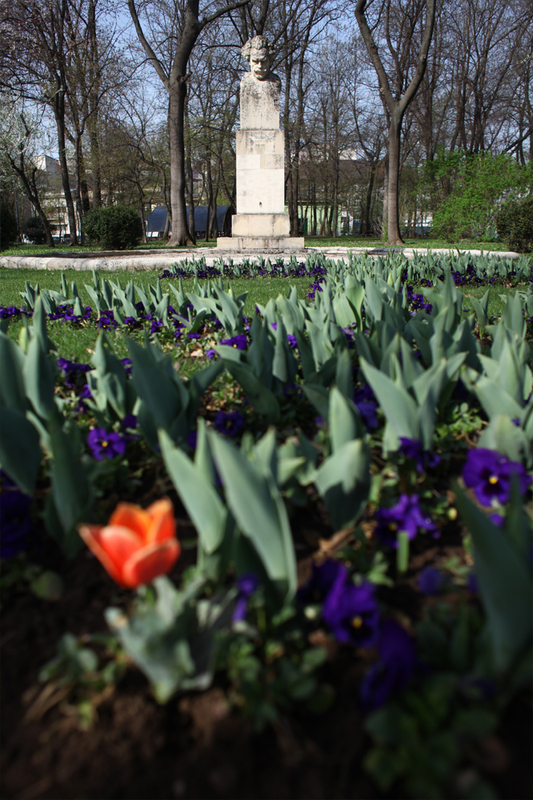 On this occasion, it was delivered to the mayor of the Capital who, at that time, was gen. Victor Dombrovschi. In 1944, it is dismantled, and remained stored between 1950 and 1988 in the yard of the Works of Art Fund. 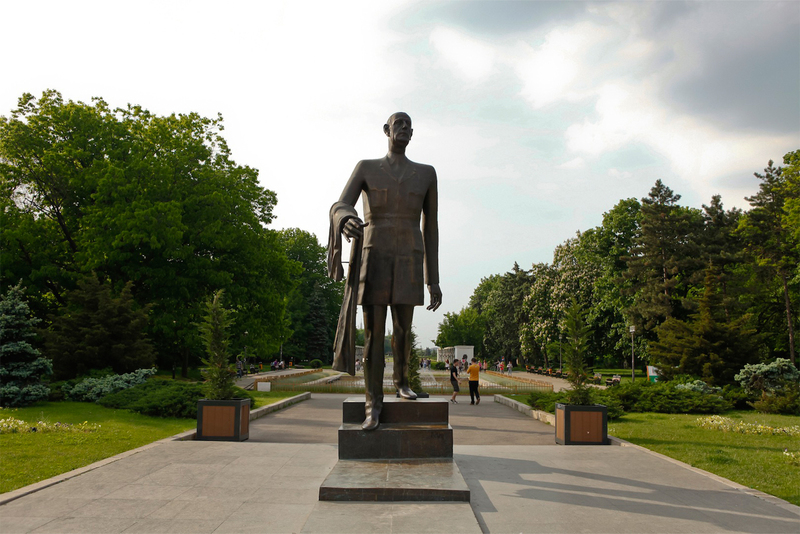 In 1988 the monument was transferred to the Golesti Museum Center. 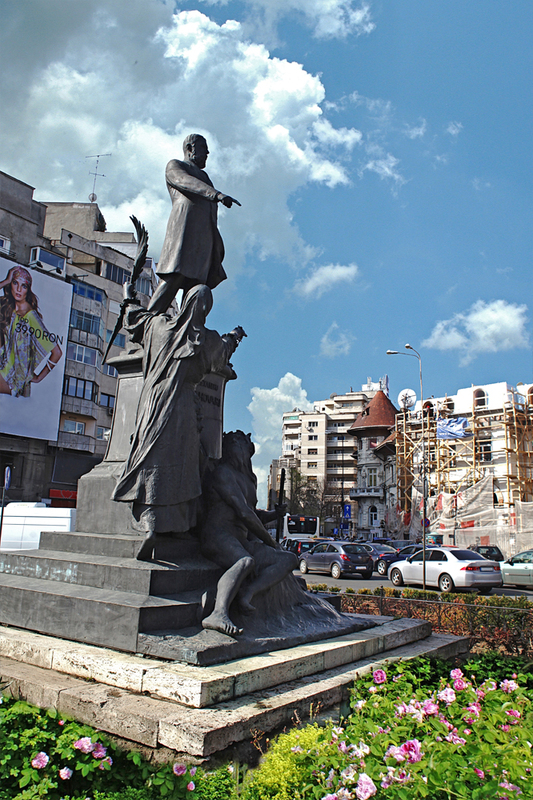 In 1992, at the initiative of the City Hall of Bucharest and Ministry of Culture, the statue was brought back to the initial location. The new inauguration took place in November 1992. Charles de Gaulle (1890-1970), a French general and politician, set up the resistance movement entitled „Free France” in London during the period when France was occupied by Germany. (1940). 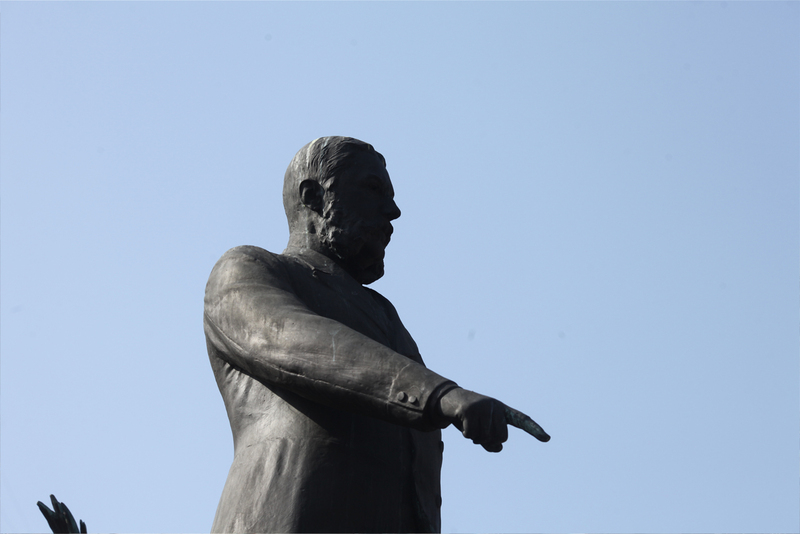 He was leader of the provisional government (1944-1946), prime-minister (1958-1959) and president of France (1959-1969). On Aprilie 28th, 1969 de Gaulle resigned from his position as President of the State. He wrote memoirs such as: “Memories from the war”, “The Memories of Hope”. Romanian sculptor, painter and ceramist, Mircea Corneliu Spătaru is an outstanding figure of the Romanian contemporary art. A graduate of the „Ion Andreescu” Institute of Plastic Arts of Cluj-Napoca (1962), his portfolio of exhibitions is quite extensive (Venice, Paris, Barcelona, Budapest, Warsaw, Bucharest) as is his list of awards (1969 – The Award of the Union of Plastic Artists in România; 1971 – The „Ion Andreescu” Award of the Romanian Academy; 1972 – the Critics’ Award of the Union of Plastic Artists in Romania; 1985 – the Jury’s Special Award – the Exhibition of Drawings and Painting in Barcelona; 2000 – the National Order "High Officer for Service of Loyalty” from the Romanian Presidential Institution). 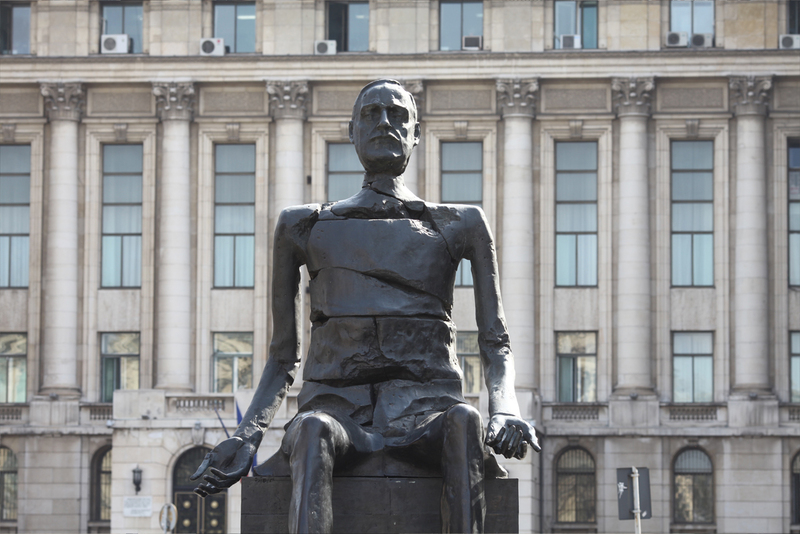 „Spătaru… takes upon himself the tragedy of humanity's history, experiencing a feeling of his own involvement and assuming responsibilities that leaves no place for the privilege of innocence, not even to the mere onlooker. We are all responsible for our entire wretchedness. An idea that may be uncomfortable but unavoidable by those who attempt to understand the restlessness of today’s world, with its nightmares and hopes” (Andrei Plesu). 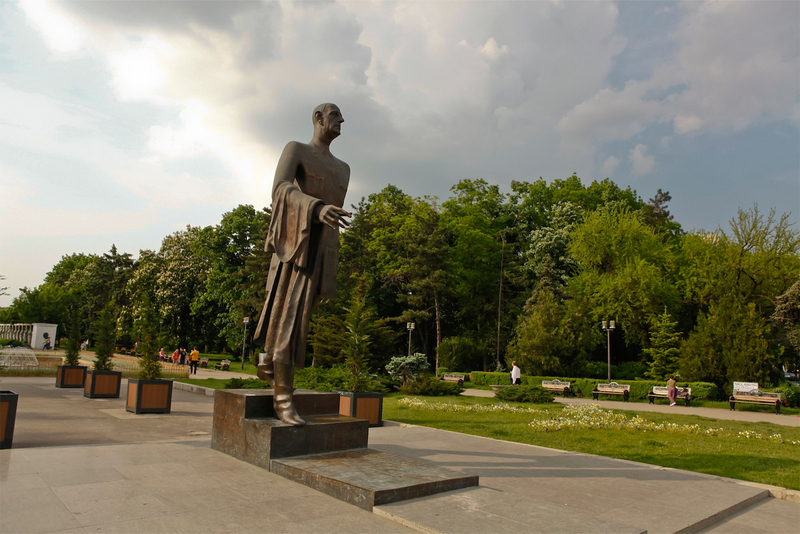 The Statue of Charles de Gaulle, situated in the Herastrau Park in Bucharest can be found on the former location of Stalin’s statue, a communist eulogy that between 1951-1962, had overlooked the square bearing the same name.